With the growing demand for plastic tooling and die services from our existing customers, our tooling division has been set up specially to meet this requirement providing value-added services to both injection molding and vacuum forming customers. Our experienced mold designers and engineers are capable of transforming a highly complicated product design into a precision-finished product. 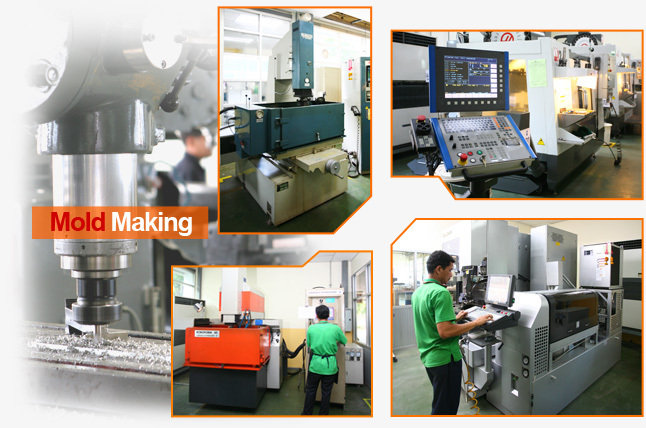 Our tooling capabilities include : Full 3D UG design with CAD/CAM, High precision mold from 18 tons to 650 tons, Design and fabricate multi-cavity mold, High speed 24 hours continuous operations, etc.